Spring is the season that denotes rebirth, rejuvenation and resurrection in almost every single living thing on earth. After a long, cold phase of difficulties and hardships, Mother Nature opens up her arms to welcome the warmth of the sun and stay blissful. Since your garden is the home of a variety of flora and fauna, ample care and adequate attention toward it becomes more than needed especially during the spring season. A rise in temperature with falling levels of humidity are the features of spring that call for providing proper watering and a good supply of nutrition to the plants in your backyard. A water sprinkler is an amazing and efficient tool for irrigation, as it ensures that just the right amount of water is supplied to the plants and simultaneously reduces the wastage of water as well. Different types of water sprinklers can be used to water your garden, but it is always advised to arrange for regular maintenance of the system too. This blog post presents you with different ideas and methods recommended by experts of irrigation service in Oklahoma City that can be employed to get your sprinkler system ready for spring. Any machinery or tool always needs attentive human help and maintenance to produce desired results. The same holds true for your sprinkler irrigation system too. Irrigation services in Oklahoma City suggest that in order to ensure a smooth and effective setup for watering your landscape, you should regularly check the inside of your sprinkler to minimize the chances of blockage and subsequent trapping of dirt inside the tool. This optimizes water supply and also makes the instances of wastage negligible. Your obligation toward your landscape does not end with just setting up an apparatus for it; in fact, it starts with that. 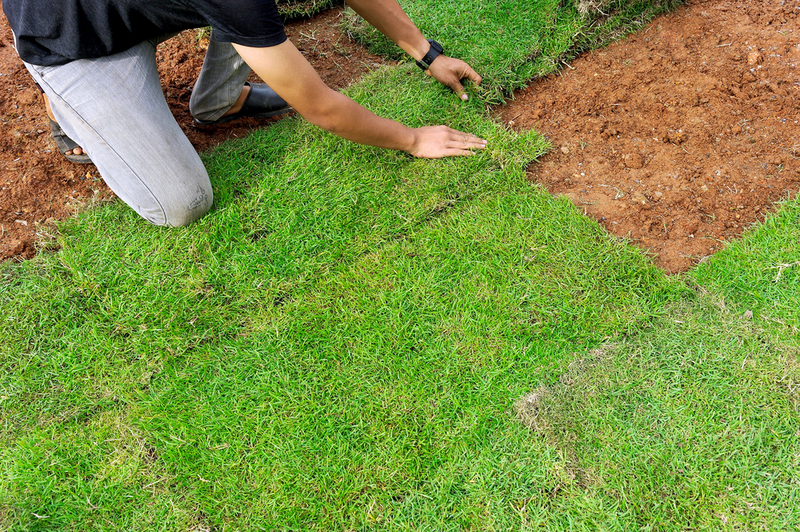 Thus irrigation services in Oklahoma City call for checking for damp spots in your garden or yard to get an instant update on any leaking or breakage in the irrigation system. This helps in fixing up the problem quickly and preventing further recurrences of damage. Experience and professional training always proves beneficial in providing quality service with long-term benefits for customers. Water sprinkler systems employed to irrigate your garden or yard call for hiring professional expertise when it comes to repairing and maintaining them. Irrigation services in Oklahoma City recommend a regular checkup, especially pertaining to the back-flow system, which can work wonders to keep your watering tool efficient and powerful in the long run. However, taking adequate steps for an automatic sprinkler system for your patio will also help greatly. Paying attention to the sprinkler irrigation tool during winters may seem unnecessary, but as a matter of fact, it is actually rather important. Providing proper insulation of outdoor hoses when not in use for a long time, accompanied with proper enclosing of outdoor faucets and other equipment, is indeed necessary to get your sprinkler ready to bloom in the spring just like your garden. Cleanliness is the first step of getting ready. Timely and regular cleaning of the landscape is as essential as caring for the environment. Clearing up the debris from gutters and downspout areas helps the garden look elegant and healthy. Irrigation services in Oklahoma City believe in keeping your patio neat and tidy with ample greenery and flowers that can be the best way to get your garden party ready and let you enjoy the festivities of spring.